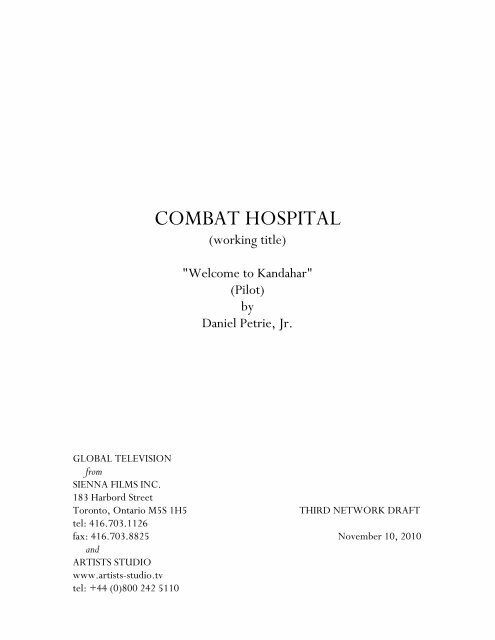 Page 18 and 19: COMBAT HOSPITAL 101 - ACT ONE - 15. Page 28 and 29: COMBAT HOSPITAL 101 - ACT ONE - 25. Page 30 and 31: COMBAT HOSPITAL 101 - ACT TWO - 27. Page 40 and 41: COMBAT HOSPITAL 101 - ACT TWO - 37.